corrections to the zoning ordinances for these areas. always be looking to maximize space. on track with its master plans. except for this guy , who continues to prance around zoning , in front of the city planning commission, time after time..
no means no, don’t you get it? got history?no i don’t think so Ann Arbor Builders! he, who would demolish 7 of 11 historic properties on the edge of an historic architectural district, and a quickly changing downtown Ann Arbor. defend the Ann Arbor 7, on s. Fifth ave.
street, with something like 140 tenants. w/ the city council, who have the final say. relates to Alex Deparry and his never ending struggle to demolish 7 historic architectural resources on the east side of S. Fith Ave.. 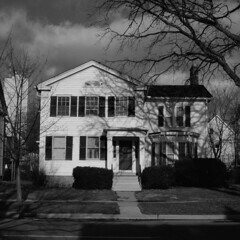 These seven historic residential homes now maintained poorly by the slumlord for students, is located in the heart of Ann Arbor’s downtown historic architectural district, once a district on The National Register of Historic Districts, struck down by the Michigan Supreme Court. 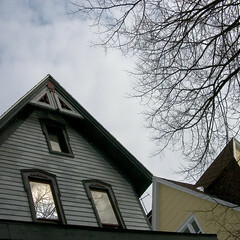 These individual homes are distinct and unique to , and date back to the first decades of Ann Arbor as a small midwestern college town. Individual histories of each home in the defend category here, are written by local preservationist , Susan Wineberg, explains clearly why these resources are important to remain in their place. DeParry’s offer to sell each house for a dollar is rouse, he knows very well no one will take him up on his offer. His claim to be green is a lie, when in fact to restore these structures is far more Green, than demolition and placement in a dump. Choke on it, sell them for fair market value, and see what demand there is really is in Ann Arbor, where there are far more affordable houses on the market than what he says is in demand, for his small tiny condos crowded up to the street. The expanded green space and environment he offers is nothing but baloney. Google workers ha! they are not coming in the numbers promised, nurses who have to commute from Jackson, do not want to live downtown in condos and pay the same property taxes as a homeowner, and achieve no equity at the same time. Students don’t buy many condos. Condos that were sold for $400,000, cannot be sold for 300,000. Existing condo projects are not fully occupied. Vacancy rates are high, and there is no demand for new housing, appraisals are down 10-40% in the county. And the fools who think that this city and county will and should be about 80% under 30 years of age , projected in 20 years, are doing nothing but moving the elders out. They wish to create a monoculture of students, with no room or place for the old hippie lberal preservation radicals , or any other regular retiring folks, who wish to hang on to what is and what was a nice small town atmosphere, human in scale and walkable. 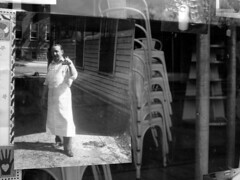 Deparry’s plan provides no real set back and that walk down the street will no longer be a pleasant one, or one that reminds one of from where we came……….to pretend they are Boston Townhouses is one big fat fake brick and vinyl lie and of no character relative to Ann Arbor or the midwest,. 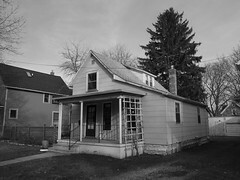 He is in denial when stating, what Ann Arbor architectectural character, there is none. Developers, not only do they lie to make a dollar, they lie to themselves. just a run on thought to be edited, but at least its written. Save the Ann Arbor 7, Defend the Ann Arbor 7. Defend the Ann Arbor 7, proposal to demolish Ann Arbor architectural heritage to build a 5 story , 100 unit pud/condominium project, A Big Mistake in the greening of Ann Arbor, let’s ask the Mayor of Tubingen, Germany, our sister city? eh? published in the AA News in March. walkers and makes downtown a more attractive and welcoming place. covered in bad siding with wooden fire escapes waltzing over the front. community has been formally recognized in the past. For example, 415 S.
Further down the street at 427 is the home of another mayor Francis M.
are wonderful examples of the architecture from this period. other and work together (and walk to work, the theater and restaurants). when a beautiful streetscape, with links to our past, is preserved. This is one of the oldest remaining houses on the street and is in the Greek Revival style, with portions dating to the 1830s, a mere decade after Ann Arbor was settled. It was built by Clayton Gaskell and through inheritance passed into the Beakes family which occupied it for many years. Later additions were added by Beakes in 1859. 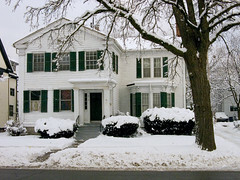 The house served as the residence for two Ann Arbor mayors: Hiram Beakes (1873-1875) and Samuel Beakes (1888-18900. It is Samuel Beakes after whom Beakes Street is named. He also wrote an important history of the county entitled “Past and Present of Washtenaw County” in 1906. It was converted into apartment in the 1920s and was studied by Emil Lorch for the Historic American Buildings Survey of the federal government in the 1930s. He noted:”good cornice, refined trim, corner pilasters. Shows preservation of an old type but it has been altered.” It was designated an Individual Historic Property by the City of Ann Arbor in 1988, a designation which was overturned by the courts when that ordinance was declared invalid in 2001.
do not demolish 7 important and significant architectural resources in the heart of Ann Arbor’s downtown, to be replaced by a pseudo contextual 5 story , 100 unit pud/condo development. This would be a big mistake. Defend the Ann Arbor Seven, plus 1 Preserve Historic Architecture, Defeat the Demo Proposal that threatens irreplaceable architectural landmarks on S. Fourth Ave.
403 S. Fifth Ave. , office of Ann Arbor Builders and Alex DeParryJanuary 2008To Members of the Ann Arbor Planning Commission and City CouncilHistory of the east side of the 400 block of S. Fifth Avenue, Ann Arbor, Michigan.Prepared by Susan WinebergA proposal by Alex DeParry to construct a large apartment building on the site of seven historic houses has prompted us to try to educate people on the importance of this block, both historically and architecturally. The loss of these houses will be irreparable for the history of the city and will result in the loss of many mature trees and vegetation as well. The proposed plans do not follow the guidelines recently adopted by the city for development in neighborhoods (and this is still a neighborhood with many owner occupied houses!). Bear with us as we tell you more about this important streetscape.All of the properties on this block are part of the Original Plat of Ann Arbor, registered in Detroit in 1824 by John Allen and Elisha Rumsey, the two founders of the town. The east-west streets were named by the developers after their wives, their children (William St.), and our presidents (Washington and Jefferson; later plats used Madison, Monroe and Adams). The north-south streets were given numbers, which has contributed to confusion ever since. The block in question was originally platted into 8 lots. The earliest map which shows houses indicates that every lot had a house by 1853 except one. Some of the houses built on these lots date back to the earliest settlement of Ann Arbor. 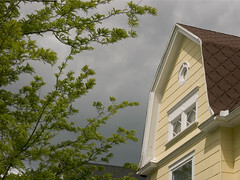 Others replaced older houses in the late 19th and early 20th century. All of the houses are over 100 years old. 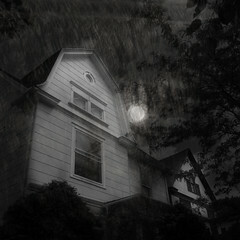 this not proposed for demolition, but sure likes a cover up to me. 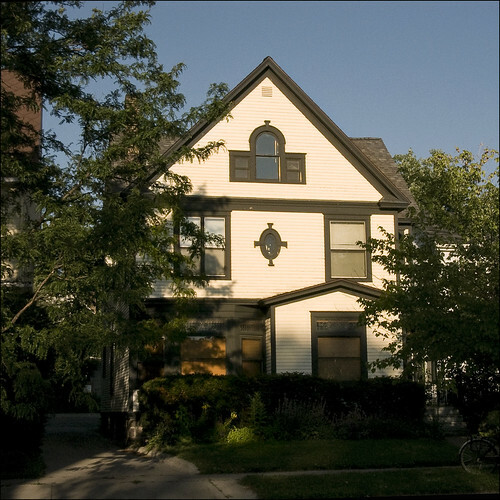 one of Ann Arbor’s most important groups of historic architectural landmarks, and quickly dissappearing links to the past of what this city was made of. 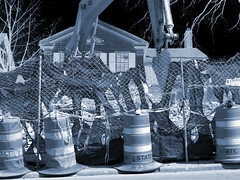 Condo developers and the those who would have Ann Arbor Builders, demolish, the City actually and the Mayor, are about to rip the heart and soul out of one of the original residential districts between downtown and the university of Michigan, which is also doing a very good at demolition of our neighborhoods as well. and then go home and work on new orleans, all the while i am home and a neighbor around the corner has this song to sing, i see him at the market, and find him on you tube. and he sings this beautiful song, dickie siegal! its sunday, what can i say? well this and Defend the Ann Arbot 7 ! there is a lot to write about the Old West Side Historic Architectural National Register district, but for now i will just think about it for a while, and just look at the picture so i never forget what was. and continuing erosion of the standards set in place that were meant to protect resources such as the little house. No doubt, this house will be bastardized soon enough, and become another McHistory lesson of what was and what will become a suburban standard for “historic preservation” It is a joke, and just not funny. If it were up to me, a radically conservative provincial preservationist, i would say if you want to restore this house, you cannot add another inch, another wing, another story, a 100,000 dollar garage w/ a lap pool and a fireplace…..
-three of 7 important historic architectural resources where developers of a monster condo project are anxious to build. Defend the Ann Arbor 7, S. Fifth Ave., an Ann Arbor Greek Revival residence , an Historic Architectural resource w/ potential to be placed on the National Register of Historic Places. This house is a fine example of Greek Revival architecture, threatened by a proposal for re-zoning , one that would allow developers to tear down 7 important and historically invaluable architectural resources, here on S Fifth Ave., between E. Williams and Jefferson Streets. just a note from a grumpy radically conservative provincial preservationist. Invite Christo, and maybe we could just cover up the ugliness.